Ensuring children’s safety (both your own and those visiting) around family dogs is paramount and should be taken very seriously. We all hear how many children are bitten by the family dog. Unfortunately, all too often these incidents occur simply through lack of understanding of dog psychology and dog behaviour. Most incidents could have been avoided through proper education and avoiding the anthropomorphic social culture that now exists around dogs. How to keep your home environment safe for children. We are being conditioned to think of and relate to our dogs as equal members of our human family and this is a recipe for disaster. Dogs are a different species to us, and if we are going to co-habitat with another species successfully, we need to understand their needs and the way they think. It is completely unrealistic to expect that because we love them and would never hurt them, that they should never bite us or use what is natural and instinctive behaviour towards us when faced with a problem that needs to be solved. Especially when that problem is usually caused by us (accidentally) in the first place. Understanding where the confusion comes from. We speak to many owners whose dog has growled at, snapped at or bitten a child (including their own) and in most cases the family is shocked and under the impression that this means the dog has a bad streak or an aggressive temperament. In unusual cases this may be true, but in most cases this can be easily fixed once we identify what went wrong and where the confusion lies. If your 3 year old bit or hit another child at playgroup, what would you do? Pull them out of playgroup and give up on them? Of course not. You would work out why it happened and work out what needed to change. It certainly doesn’t mean that child is naturally aggressive or has a bad temperament. It simply means that they chose to use physical means to solve a problem and as guardians we need to help and support the child in solving these problems, by providing leadership, discipline and protection. Common causes of dog bites. Recently an owner rang for some advice and explained that his dog was seriously growling and snapping at his young child when the child came anywhere near to where the dog was sitting on his wife’s lap. The owner was surprised and disappointed when I suggested the dog shouldn’t be on his wife’s lap – at the very least when the child is around. He explained that they had just wanted their dog to know it was still loved around their child. This is anthropomorphising the dog. From the dog’s model of the world, allowing the dog to sit on top of another pack member is a message about their status in the pack and communicates to the dog “you are more important and higher in rank than this child and are therefore able to challenge this child in certain situations” This dog’s pack leader, or any other dog of a higher ‘rank’ would not allow a dog to sit on them (being on top is a dominant position), and be stroked and praised for this behaviour. It can be very confusing to the dog. This is just one example. Dominance, protective instinct and fear aggression are the most common causes of dog bites amongst children. Unfortunately we now live in a society where we have very little contact with natural animal behaviour. We are then surprised and shocked when our beloved pets behave like an animal rather than a human. 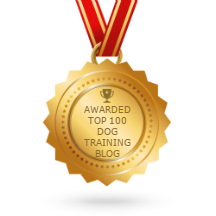 We source information on dog training methods from books or the internet, or from sources that have a particular philosophical agenda and little understanding of natural animal behaviour. Unfortunately dogs don’t understand our complicated human behaviour, so we must learn to understand theirs. Here are a few tips to make your home safer for children. Fix general dominance, dependence and anxiety problems with your dog. If your dog is displaying any of these symptoms it is a warning sign and you should consult a professional for help. For more reasons than child safety. You should be seen as the pack leader or guardian of your family and it is your responsibility to protect your children and keep them safe. In the absence of clear leadership and direction, dogs may dominate or react to certain situations in a non socially acceptable way. Especially over something they value and will want to claim as theirs, whether it’s a toy, lap, food item or sleeping space. The same way a child will not want to share special toys and why we need to supervise this. Anything the dog values highly e.g. : toys, beds, chew sticks, even empty food bowls should be put away around children. If the dog has a valued item in their immediate possession, they won’t accept the child coming into their space. In their mind they have ‘claimed’ the item and it is disrespectful of the child to cross that boundary. This concept applies to people who the dog values highly also, which is why is it very wise to not allow a dog on your lap around children, and even in your space, as this can give them the idea that they have claimed you. Like a big juicy bone. Whenever possible show privilege to your child first i.e. allowing the child into the house or room first, and allowing child on furniture and not the dog (at least let them up first and by invitation). Your dog should clearly know his place in the pecking order of your pack, and that should obviously be ‘below’ your children. Some dogs will perceive children as a threat to their own position in the pack if this isn’t very clear. It’s not personal, it’s natural and healthy from the dog’s point of view. Don’t resent your dog for following instinct – expect it and be proactive. Create boundaries for your dog around children and teach them to show calm relaxed behaviour when approaching them. Learning and respecting personal space is an important concept for your dog to learn. Don’t let a dog knock a child over without correction and don’t allow the dog to steal food or toys from a child. Having the dog on a leash around children until they understand this (even in the house) is a good idea. Teach children to respect the dog’s boundaries. The obvious ones here are when the dog is eating and when the dog is sleeping. Remember the old saying “let sleeping dogs lie”? There is much wisdom in this. You wouldn’t let your child go and wake the baby up whenever they wanted to play and we encourage the same boundaries. Dogs need their space and alone time too. I strongly recommend never leaving uneaten food around for various reasons but child safety is a huge one. You don’t want your dog guarding any uneaten food. Give your dog sufficient time to finish its meal and then take the remainder away. I personally don’t think letting your dog scavenge your child’s food droppings uninvited is a good idea either. They should require permission to do so at the very least. Don’t let young children reprimand the dog, you must do it. Your dog may not accept a reprimand from someone they perceive as below them in the pecking order, just as you wouldn’t take being told off by a child. Teach them that dogs have emotions, feel pain and they are real beings, not toys. Never allow your children to tease, harass, play roughly, sit on or generally be annoying to a dog. Your dog is not a babysitter or there as a form of entertainment. Dogs cannot verbalise to let us know when something is annoying them or scaring them or if they need space, so they use body language and physical pressure to communicate. If you don’t want them doing this, supervise and support them, or get a stuffed toy instead. Children shouldn’t be left alone with a dog without adult supervision, and be extra careful when there are other children visiting. All dogs have protective instincts and may protect your child from a perceived threat, even if it’s harmless play. The safest option is simply to supervise at all times, or put the dog away in a comfortable and safe area, such as a bedroom, a run, a crate etc so you can relax. If you have a dominant dog only let children pat them when they are sitting or lying in a submissive position. Remember that children sound and move differently to us and have noticeably less self control (I often describe them as seeming like little drunk people!) and this can easily confuse dogs and cause them to feel defensive. The younger the child and the more hyperactive or full of energy the child is, the more careful you’ll need to be. If a dog is nervous with children take them for a calm walk together, the dog on one side and the child on the other, until the dog relaxes, and build from there. Understand that growling, snapping and biting is the dog’s only way to say “I feel uncomfortable, please back off” or “hey that’s mine, I’ve already claimed it and you can’t touch it without my permission!” etc. Learn to read your dog’s body language as they can’t talk. Be mindful of your own limitations. If YOU are nervous around children (or don’t like them) chances are your dog won’t either, or if you find it hard to take charge of them and show leadership, your dog will also sense this (they always know what you are feeling!!) and react accordingly by trying to take charge of the situation themselves. In this case simply put the dog away. Hope this helps. If you still need help please contact us professional advice.